Memento Mori Chandelier Dress by Susan Taylor Glasgow. Through January 26th, Sager Braudis Galleryin Columbia, Missouri, is hosting a group exhibition that includes work by glass artist Susan Taylor Glasgow. Her diverse media sheds light on the feminine ideals passed down to her by her mother. 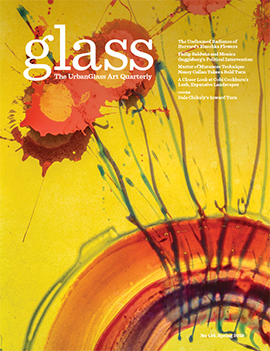 In an email exchange with the Glass Quarterly Hot Sheet, Glasgow explains: "I pursue beauty and sensuality in my work giving the viewer a reason to examine it more closely and find their own personal meaning." Her drive to create arose from her love of aesthetically beautiful objects. She loves to problem-solve and build things. 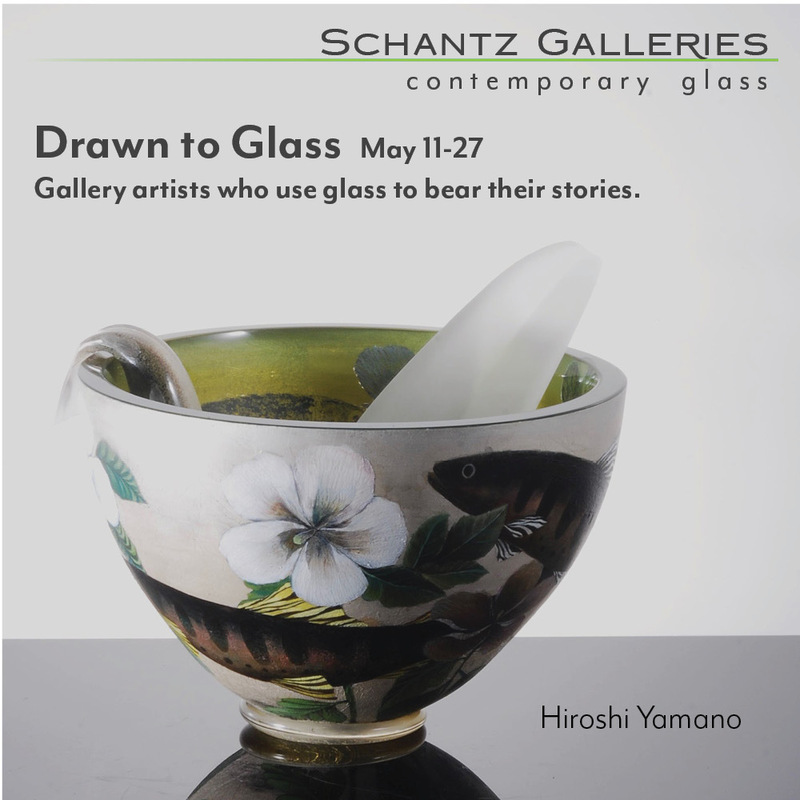 "Sculptural glass and mixed media is perfect for how I like to work. It requires a lot of engineering, trouble-shooting, and patience," says Glasgow. 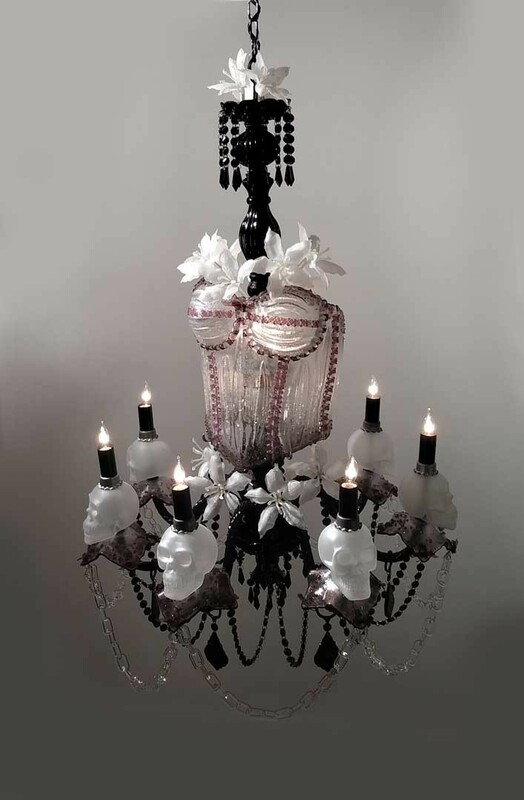 Glasgow's featured piece, Memento Mori Chandelier Dress, was developed after the idea came to her years prior to its creation. "I kept coming up on roadblocks such as how to get the glass skulls made (I don't blow glass), and how to make the glass lilies. The glass chain also took many hours to make," said Glasgow. Although she faced many challenges along the way, once all of the components came together, it only took her a matter of a month to complete the sculpture. "My work embraces the feminine ideals of sensuality, in a seductive but unforgiving material, offering conflicting messages of comfort and expectation," explains Glasgow. Her inspiration subconsciously stems from her mother. She explains that, "For years I believed my work was about myself. But ultimately my work is about my Mother. With the sewing and cooking skills she passed on, I am able to indulge my own notions of domestic role-playing." Glasgow shows with Habatat Gallery, which provides her with wider exposure through art fairs, or its Royal Oak location, but there's something special about a smaller venue. "I love showing at Sager Braudis Gallery because it's local and it allows me to participate in the local art scene," says Glasgow. "Most of my work is shown at venues such as Habatat Galleries in Royal Oak or SOFA Chicago, so my friends, neighbors, and local collectors may never see my work in person. Showing at Sager Baudis is an opportunity to show Columbia, Missouri what I do for a living."